Fletcher Jones Motorcars of Fremont presents this 2018 Mercedes-Benz C-Class C 300 Cabriolet. This Mercedes-Benz includes: WHEELS: 18 TWIN 5-SPOKE (STD)WHEEL LOCKING BOLTS (PIO)CRYSTAL GREY/BLACK, LEATHER UPHOLSTERYBLACK FABRIC HEADLINERBLACK SOFT TOP (STD)REAR CHROME TRIM (PIO)NATURAL GRAIN BROWN ASH WOOD TRIMSD-CARD NAVIGATION PRE-WIRINGPREMIUM PACKAGE*Note - For third party subscriptions or services, please contact the dealer for more information. * There are many benefits to becoming a Fletcher Jones Owner. Complimentary services include car washes, Mercedes-Benz courtesy vehicles for extended repairs, complimentary pick up and delivery, multi point vehicle inspections and much more. Call us at (510) 623-1111 to experience a new level of service. Fletcher Jones Motorcars of Fremont, is a proud member of the family owned and operated Fletcher Jones Automotive Group. We’ve had the pleasure of serving guests for over 70 years. We offer one of the largest new and pre-owned inventories in the bay area. We likely have the vehicle you’ve been searching for, or contact us to help find an exact configuration. Experience the Fletcher Jones Difference today! Fletcher Jones Motorcars of Fremont presents this 2019 Mercedes-Benz C-Class C 300 Cabriolet. This Mercedes-Benz includes: WHEELS: 18 MULTISPOKE W/BLACK ACCENTSNATURAL GRAIN GREY OAK WOOD TRIMSD-CARD NAVIGATION PRE-WIRINGBLACK FABRIC HEADLINERBLACK SOFT TOP (STD)Convertible Soft Top PREMIUM PACKAGEHD Radio Satellite Radio Premium Sound System Power Folding Mirrors *Note - For third party subscriptions or services, please contact the dealer for more information. * There are many benefits to becoming a Fletcher Jones Owner. Complimentary services include car washes, Mercedes-Benz courtesy vehicles for extended repairs, complimentary pick up and delivery, multi point vehicle inspections and much more. Call us at (510) 623-1111 to experience a new level of service. Fletcher Jones Motorcars of Fremont, is a proud member of the family owned and operated Fletcher Jones Automotive Group. We’ve had the pleasure of serving guests for over 70 years. We offer one of the largest new and pre-owned inventories in the bay area. We likely have the vehicle you’ve been searching for, or contact us to help find an exact configuration. Experience the Fletcher Jones Difference today! Fletcher Jones Motorcars of Fremont presents this 2019 Mercedes-Benz C-Class C 300 Cabriolet. This Mercedes-Benz includes: MULTIFUNCTION SPORT LEATHER STEERING WHEELAMG® LINENATURAL GRAIN GREY OAK WOOD TRIMSD-CARD NAVIGATION PRE-WIRINGBLACK FABRIC HEADLINERBLACK SOFT TOP (STD)Convertible Soft Top FLOORMATSFloor Mats PREMIUM PACKAGEHD Radio Satellite Radio Premium Sound System Power Folding Mirrors *Note - For third party subscriptions or services, please contact the dealer for more information. * There are many benefits to becoming a Fletcher Jones Owner. Complimentary services include car washes, Mercedes-Benz courtesy vehicles for extended repairs, complimentary pick up and delivery, multi point vehicle inspections and much more. Call us at (510) 623-1111 to experience a new level of service. Fletcher Jones Motorcars of Fremont, is a proud member of the family owned and operated Fletcher Jones Automotive Group. We’ve had the pleasure of serving guests for over 70 years. We offer one of the largest new and pre-owned inventories in the bay area. We likely have the vehicle you’ve been searching for, or contact us to help find an exact configuration. Experience the Fletcher Jones Difference today! Fletcher Jones Motorcars of Fremont presents this 2019 Mercedes-Benz C-Class C 300 Cabriolet. This Mercedes-Benz includes: MULTIFUNCTION SPORT LEATHER STEERING WHEELAMG® LINESD-CARD NAVIGATION PRE-WIRINGBLACK FABRIC HEADLINERFLOORMATSFloor Mats NATURAL GRAIN BLACK ASH WOOD TRIMWoodgrain Interior Trim PREMIUM PACKAGEHD Radio Satellite Radio Premium Sound System Power Folding Mirrors *Note - For third party subscriptions or services, please contact the dealer for more information. * There are many benefits to becoming a Fletcher Jones Owner. Complimentary services include car washes, Mercedes-Benz courtesy vehicles for extended repairs, complimentary pick up and delivery, multi point vehicle inspections and much more. Call us at (510) 623-1111 to experience a new level of service. Fletcher Jones Motorcars of Fremont, is a proud member of the family owned and operated Fletcher Jones Automotive Group. We’ve had the pleasure of serving guests for over 70 years. We offer one of the largest new and pre-owned inventories in the bay area. We likely have the vehicle you’ve been searching for, or contact us to help find an exact configuration. Experience the Fletcher Jones Difference today! Fletcher Jones Motorcars of Fremont presents this 2019 Mercedes-Benz C-Class C 300 Cabriolet. This Mercedes-Benz includes: MULTIFUNCTION SPORT LEATHER STEERING WHEELLEATHER SEATING PACKAGESeat Memory Power Passenger Seat AMG® LINEPRE-INSTALLATION FOR SD-CARD NAVIGATIONBLACK FABRIC HEADLINERFLOORMATSFloor Mats NATURAL GRAIN BLACK ASH WOOD TRIMWoodgrain Interior Trim PREMIUM PACKAGEHD Radio Satellite Radio Premium Sound System Power Folding Mirrors *Note - For third party subscriptions or services, please contact the dealer for more information. * There are many benefits to becoming a Fletcher Jones Owner. Complimentary services include car washes, Mercedes-Benz courtesy vehicles for extended repairs, complimentary pick up and delivery, multi point vehicle inspections and much more. Call us at (510) 623-1111 to experience a new level of service. Fletcher Jones Motorcars of Fremont, is a proud member of the family owned and operated Fletcher Jones Automotive Group. We’ve had the pleasure of serving guests for over 70 years. We offer one of the largest new and pre-owned inventories in the bay area. We likely have the vehicle you’ve been searching for, or contact us to help find an exact configuration. Experience the Fletcher Jones Difference today! Fletcher Jones Motorcars of Fremont presents this 2019 Mercedes-Benz C-Class AMG® C 43 4MATIC® Cabriolet. This Mercedes-Benz includes: NATURAL GRAIN BLACK ASH WOOD TRIMWoodgrain Interior Trim TELEPHONE PRE-WIRING/PORTABLE PHONECross-Traffic Alert AMG® PERFORMANCE EXHAUSTBLACK SOFT TOP (STD)Convertible Soft Top WHEELS: 19 AMG® MULTISPOKETires - Front All-Season Tires - Front Performance Aluminum Wheels Tires - Rear Performance Tires - Rear All-Season MULTIMEDIA PACKAGENavigation System Hard Disk Drive Media Storage MP3 Player HEATED & VENTILATED FRONT SEATSCooled Front Seat(s) Heated Front Seat(s) BLIND SPOT ASSISTBlind Spot Monitor *Note - For third party subscriptions or services, please contact the dealer for more information. * There are many benefits to becoming a Fletcher Jones Owner. Complimentary services include car washes, Mercedes-Benz courtesy vehicles for extended repairs, complimentary pick up and delivery, multi point vehicle inspections and much more. Call us at (510) 623-1111 to experience a new level of service. Fletcher Jones Motorcars of Fremont, is a proud member of the family owned and operated Fletcher Jones Automotive Group. We’ve had the pleasure of serving guests for over 70 years. We offer one of the largest new and pre-owned inventories in the bay area. We likely have the vehicle you’ve been searching for, or contact us to help find an exact configuration. Experience the Fletcher Jones Difference today! Fletcher Jones Motorcars of Fremont presents this 2019 Mercedes-Benz C-Class AMG® C 43 4MATIC® Cabriolet. This Mercedes-Benz includes: HEAD-UP DISPLAYHeads-Up Display TELEPHONE PRE-WIRING/PORTABLE PHONECross-Traffic Alert AMG® PERFORMANCE EXHAUSTMULTIMEDIA PACKAGENavigation System Hard Disk Drive Media Storage MP3 Player AMG® CARBON FIBER TRIMHEATED & VENTILATED FRONT SEATSCooled Front Seat(s) Heated Front Seat(s) BLIND SPOT ASSISTBlind Spot Monitor PARKING ASSISTANCE PACKAGEAutomatic Parking Back-Up Camera AMG® PERFORMANCE STUDIO PACKAGETires - Front All-Season Tires - Front Performance Aluminum Wheels Tires - Rear Performance Tires - Rear All-Season EXTERIOR LIGHTING PACKAGEHeadlights-Auto-Leveling *Note - For third party subscriptions or services, please contact the dealer for more information. * There are many benefits to becoming a Fletcher Jones Owner. Complimentary services include car washes, Mercedes-Benz courtesy vehicles for extended repairs, complimentary pick up and delivery, multi point vehicle inspections and much more. Call us at (510) 623-1111 to experience a new level of service. 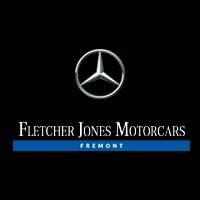 Fletcher Jones Motorcars of Fremont, is a proud member of the family owned and operated Fletcher Jones Automotive Group. We’ve had the pleasure of serving guests for over 70 years. We offer one of the largest new and pre-owned inventories in the bay area. We likely have the vehicle you’ve been searching for, or contact us to help find an exact configuration. Experience the Fletcher Jones Difference today! If you’re looking for a new Mercedes-Benz C-Class convertible to cruise around San Jose in, stop by Fletcher Jones Motorcars of Fremont. Our dealership has an extensive selection of C-Class Cabriolet models for sale, including the C 300 Cabriolet. To get behind the wheel of a luxurious C-Class, schedule a test drive at our dealership near Milpitas and Menlo Park! Why Buy a Mercedes-Benz C-Class Cabriolet? To learn more about C-Class pricing, features, and specs, contact us at Fletcher Jones Motorcars of Fremont or visit us near Los Gatos.